David started in the investor education world in 2004 with Investools, the former education affiliate of TD Ameritrade and thinkorswim. During this time, he has coached hundreds of individuals through 1-on-1 interactions and group webinars on how to invest and trade in the stock, options and forex markets. He also taught live workshops and presented before hundreds of clients at large-scale investor education conferences. His areas of expertise are in options strategies – ranging from long calls and puts to selling verticals spreads to more advanced multi-leg strategies, like iron condors, calendar and diagonal spreads – and technical analysis. He is the originator of the popular Market Forecast daily YouTube video and now currently co-hosts the Market Outlook daily market review. He is now using his years of experience and expertise in these various areas to develop Market Scholars into the premier investor education space online with Brandon Van Zee. David currently holds the Chartered Market Technician designation form the MTA Association, which reflects his expertise in using technical analysis. In his spare time, David spends time with his family of 4 boys and enjoys travelling with his wife of more than 20 years to the big cities of the world and everywhere in between. He is a self-proclaimed hoops junkie and loves to spend time in the beautiful Utah mountains and national parks. Weekly Stock Market Outlook: Bulls Retreat… But for How Long? Weekly Stock Market Outlook: Time for a Hiccup? Weekend Stock Market Outlook: Is the Rally Targeting 2600? 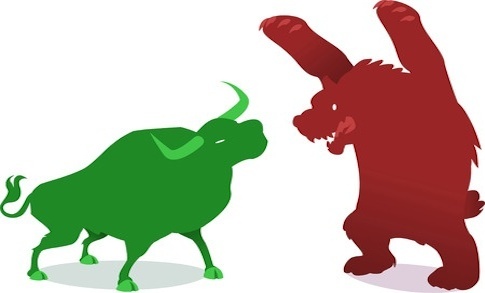 Weekend Stock Market Outlook: When Will Bulls Fight Back? Weekend Stock Market Outlook: Bullish Trend Change At Hand?